Of the countless marketers I’ve met, few of them knew their craft. This unfortunate scenario is due to the subtle belief that marketing is intuitive and doesn't require deep study and practice. Nothing could be further from the truth. Marketing is a craft, it’s purely mental nature does not make it any less of a trade than carpentry. Like every craft, becoming a good marketer requires earnestness. You must study the principles of marketing and apply them. To help your apprenticeship, I have listed the best books I have encountered on the subject. Positioning is about finding an empty slot in the prospect's mind for your product to fill. Those of you not familiar with such concept must read this material. This book is not only instructive, it is also contextual. You will learn an important mental framework for marketing products while at the same time, gaining a deeper understanding of the advertising conditions of society in general. The lessons in this book will probably take several reads to grasp in their entirety, but once you grasp them, applying them will yield results in dollars. The money the practical lessons from this book can make you puts it at the top of my list. Influence is a well known and reputable marketing classic. It introduces the beginner to the subconscious mental laws that govern the psychology of every individual. Elements such as anchoring, reciprocity, mirroring, and many more are well articulated along with supporting examples. I recommend this book to every person beginning their marketing journey and would like to establish a solid foundation to build upon. If influences teaches individual psychology, the crowd brilliantly instructs crowd psychology. Most of us are unaware that individual and crowd psychology are two distinct phenomenons, operated by very different laws. Crowd psychology is the discipline where psychology and sociology intersects. It is a remarkably interesting subject to study. The author of the book, Gustave Lebon, is a bright genius. His work on crowd psychology has deeply influenced the thoughts of many social engineers like Edward Bernays, Adolf Hitler, Walter Lipman, and Franklin D Roosevelt. This work is a masterpiece. It is a must read for individuals whose success depends on crowd cooperations such as social networks. Considered as the founder of PR and mass consumerism, Edward Bernays is an admired figure in the field of marketing. In Propaganda, Bernay sharply outlines his principles and methodologies in a succinct manner. Propaganda is not for the marketing beginner or the immature mind. Many of Bernays' well articulated thoughts from this work has been distorted by impatient minds seeking for conspiracies. The grounded and intelligent mind however will grasp the deep intelligence in Propaganda and will preserve it for future reference. This book is for the seasoned marketer who wishes to elevate his or her craft to a science. Every serious entrepreneur and marketer should read Crossing the Chasm. In fact, I highly doubt I can hire a marketer who has not read this work. Crossing the chasm brilliantly outlines the stages a new product must undergo before becoming mass adopted. I read this book during my novice years as an entrepreneur and found myself impressed. As a now seasoned executive, I am baffled at its accuracy. The information in this book is well researched, reliable, and very useful. This book is a must for entrepreneurs, especially those operating in tech. This book represents marketing brilliance at its finest. It exposes a great number of errors committed by entrepreneurs and executives. Had I read this book earlier in my career, a lot of money would have been saved. This work excels at pointing out common mistake executives when developing marketing strategies. 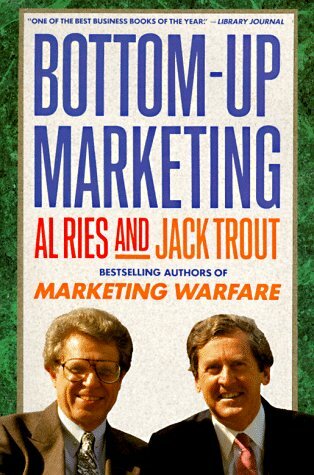 I felt embarrassed while reading this book, as I found myself guilty of quite a few marketing treasons. This book is best for corporate executives or entrepreneurs planning on becoming executives. The principles of marketing are simple, but they take years to master. Let this statement serve as a warning, for many mistake simplicity for easiness. Study these books. Meditate over their information. Go out and apply them, then re-read them again. Such is the path of the neophyte. This spiral of meditation, practice, and reflection will make you better in each iteration. After gathering a significant marketing experience, you will synthesize the principles from these books into your very being. You will acquire the penetrative mind that sees the secondary, tertiary, and even fourth order effects of marketing actions. Similar to engineering being applied physics, you will realize that marketing is applied psychology.